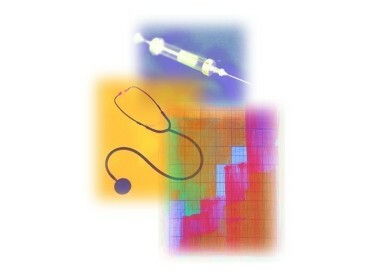 RAND events offer new insights and evidence-based perspectives on top policy concerns. 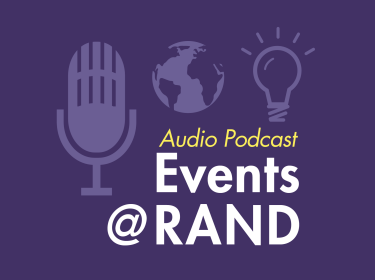 In this Events @ RAND podcast, the Pew Research Center's Carroll Doherty joins RAND's Jennifer Kavanagh for a discussion about the causes and consequences of Truth Decay and declining trust in institutions. 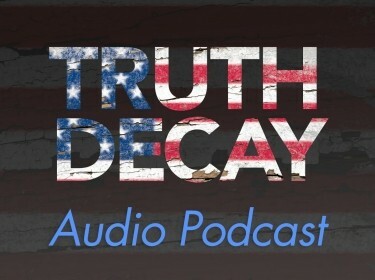 In this Events @ RAND podcast, Jennifer Kavanagh addresses the connection between Truth Decay and the erosion of civil discourse, as well as Truth Decay's effects on policymaking and the future of democracy. In this Events @ RAND podcast, RAND experts discuss risks to privacy in the age of artificial intelligence. The RAND Corporation is a nonprofit institution that helps improve policy and decisionmaking through research and analysis. RAND focuses on the issues that matter most such as health, education, national security, international affairs, law and business, the environment, and more. As a nonpartisan organization, RAND operates independent of political and commercial pressures. We serve the public interest by helping lawmakers reach informed decisions on the nation's pressing challenges. Policy Currents offers weekly RAND insights on top new stories. 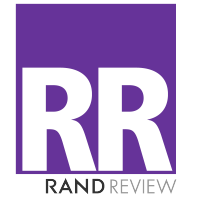 Subscribe to stay up-to-date on RAND research and commentary on the public policy issues that matter most.